At one time Games Workshop (GW) dominated the acrylic miniature model paint market, and even today GW is still one of the biggest names in water-based acrylic paints, designed for miniature model painting. In the early days GW didn't produce their own paints. The earliest GW paint pots employed rubber flip top lids too. 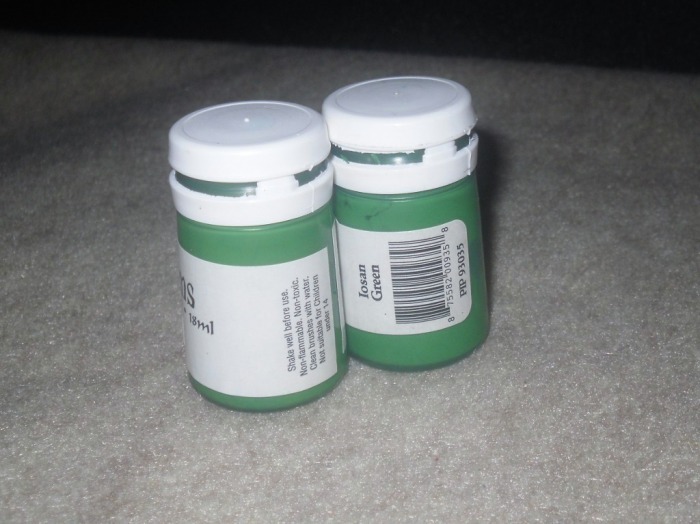 If Coat D' Arms paint pots look strikingly familiar, it's probably because this is the very same paint line, in the very same pots, even in the very same colors (with different names of course) which GW used to sell as their own. Truth be told, I overlooked Coat D' Arms in my Miniature Paints 101 article, because quite frankly, Black Hat Miniatures the parent company of Coat D' Arms never responded to inquiries about their products when I attempted to cover them previously. Since I had no first-hand experience with their products, I wasn't about to include them on hearsay alone. After that comparison article went live, I also ended up with a bunch of emails asking why Coat D' Arms wasn't included. 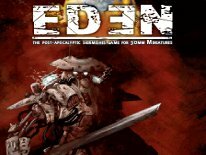 One such email was from Mark Severin, from Scale Creep Miniatures. He introduced himself also as a US distributor of Coat D' Arms here in the US. Additionally, he offered to send me some samples to review Coat D' Arms properly, and that's how this article came about. I've spent about a month now with the samples he sent me, and I have to admit, I am quite impressed with what I've learned. First up the pots are like the original GW pots, and look identical to current Privateer Press Formula P3 line of paints pots. 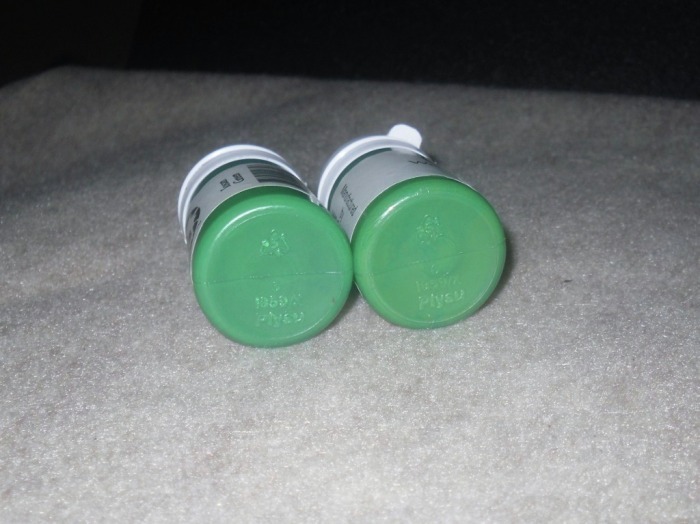 Both the Coat D' Arms and P3 bottles are marked on the bottom Plysu 1859/X, so they don't just look identical, they are identical 18ml bottles. The paint inside the bottles is manufactured for Black Hat/Coat D' Arms by HMG Paints Ltd, which is allegedly the same company Privateer Press uses to manufacture their Formula P3 line. The only thing that I can see that's different is the shades that each line offers, and the labels on the bottles, but that's about it. I do like the bottle design, although the dropper bottles are still my preferred delivery and storage method. These pots are, however, better than the existing paint pots that GW uses today. The pots feature an attached rubber flip top lid, and they can be quite tight, therefore I don't foresee the paints drying up anytime soon. Although I would recommend keeping the inner ring of the lid free from paint, or it won't close like it should, and that's the only way I can see the paint drying up in these pots. The only real problem with this design is, that after about a year, the little rubber piece that allows the lid to flip up and stay attached, can break from wear and tear. This happened with a Formula P3 pot I own, and while yes that's a P3 pot, and we're talking about Coat D' Arms, but the bottles are identical, made with the same exact materials even. So the chance exists the very same thing can occur to the Coat D' Arms lids. 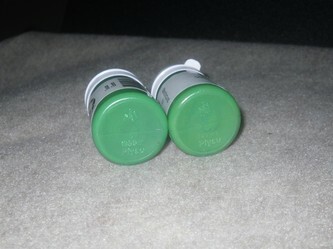 The thickness of the paint, is also identical to the Formula P3 line as well. I'd say it's slightly thinner than existing GW paint, and a lot thicker than Reaper Master Series and Vallejo. In terms of coverage, in most cases you can pull off a lot with a single coat of paint. Therefore it may require thinning down, depending on the technique you want to use. The pigment is strong too, even after thinning, as the colors don't run and change shades during application. In use I like it a lot, and I've had absolutely no problems with Coat D'Arms. 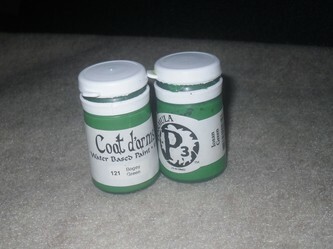 I now use Coat D' Arms right along side the Vallejo, Reaper, GW and P3 shades I own, and I wouldn't hesitate now to purchase other shades from the Coat D' Arms line. In terms of their metallics, I was only sent #106 Enchanted Silver to work with from the metallic colors that they have to offer. What I did notice is that it required a real vigorous shaking to mix it up properly. I always shake my paints to make sure things are properly mixed before every use, but this stuff took a little more effort than usual. That aside, the shade of silver works quite well, offering great coverage, and equal thickness as the non-metallic colors. I also saw a few charts online which will help you determine which Coat D' Arms names are the same shades as the old GW colors. One of the colors I was sent is called Angel Red, which is clearly Blood Red from GW, and Bloody Red from Vallejo's Game Color line. Coat D' Arms Bogey Green is clearly GW's Snot Green too. So even without a chart, the names are so similar, that most won't have too hard of a time figuring out what would be the GW alternative shade in the Coat D' Arms line. If you enjoy the Formula P3 line from Privateer Press, and are looking for some of the Games Workshop shades in a nearly identical paint, then Coat D' Arms is worth checking out. Coat D' Arms doesn't offer every shade that GW currently offers, but they do offer many of the older shades named differently, plus quite a few colors of their own. In all there's over 150 shades available in the Coat D' Arms line. The line is also separated into a Fantasy range, Military range and WWII range. They also offer what they're calling Triads, which is repackaged existing colors with a base, highlight and dark shade of specific colors in a single 3-pack. There's also paint sets, a product they call SuperShader, and a product called Brushscape, which is said to be a textured paint for painting miniature model bases. In the UK this is a fairly common brand, which you can find in many places, but here in the US the availability is pretty limited. Scale Creep Miniatures and Brookhurst Hobbies are the only two online retailers that I could find here in the US that carry Coat D' Arms. Price-wise Coat D' Arms from Scale Creep Miniatures is $3.25 each, which is a little more than the $2.79 on average that I've found the P3 line selling for. Since GW rasied prices in June is, the new MSRP for their 12ml pots in comparison is $3.80. Not only do you get more paint with Coat D' Arms 18ml pots, but at a lower price to boot! The good news is, that at present Brookhurst Hobbies is having a sale on Coat D' Arms for $1.50 each, and their normal price is $2.50 each, but they claim they have so much in stock, that a sale was only way to begin moving it. And that's the thing about this paint. Being it's lesser known here in the US, wargaming hobbyists overlook it, more often, than not. Quite frankly, I would say this is due in part to the fact, that the label looks so generic. You can't judge a book by it's cover, but in this day and age, you have to stand out as much as you can in a competitive market. I guarantee, that if you know nothing about what's in that bottle, you could easily discount Coat D' Arms as some generic off brand, due to that dull plain white label with black lettering. Imagine seeing that pot next to a Formula P3 pot at a store, which do you think would sell based on looks alone? It's definitely not some generic off brand, and if I were to redo my Miniature Paints 101 article, Coat D' Arms would probably replace Tamiya on the list, because it's truly a top 5 quality product. The only thing stopping it from beating out the Formula P3 line is the lack of better availability here in the US. I can drive to a local hobby shop/game store and buy Formula P3, the same can't be said for Coat D' Arms. Next time you're looking to restock some hobby paints, or if you're about ready to purchase a few new specific shades, which ever the case may be, you might want to give Coat D' Arms a shot. 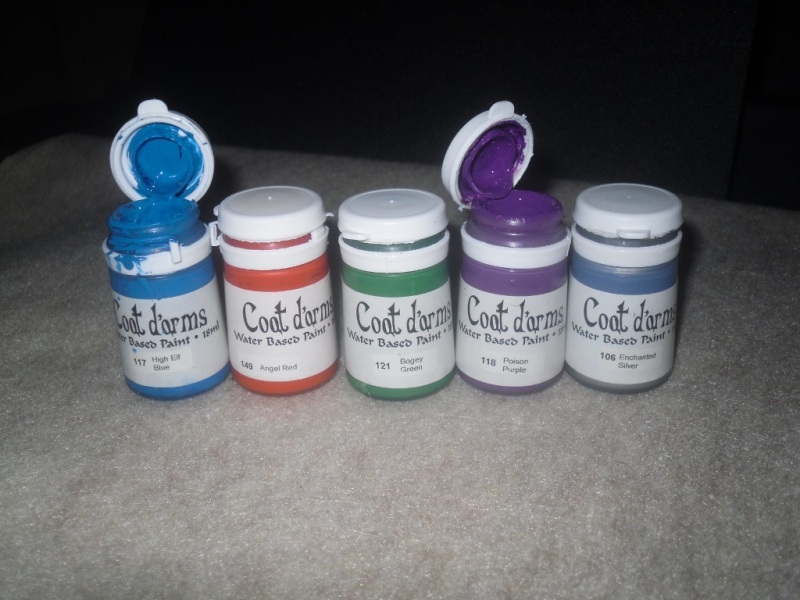 Coat D' Arms is a fantastic line of paints, and it's well worth trying out, if you haven't already.